The growing population has resulted in an increase in housing needs creating new opportunities for real estate professionals. With the current economy, buyers will turn to qualified professionals to assist them in making knowledgeable decisions. 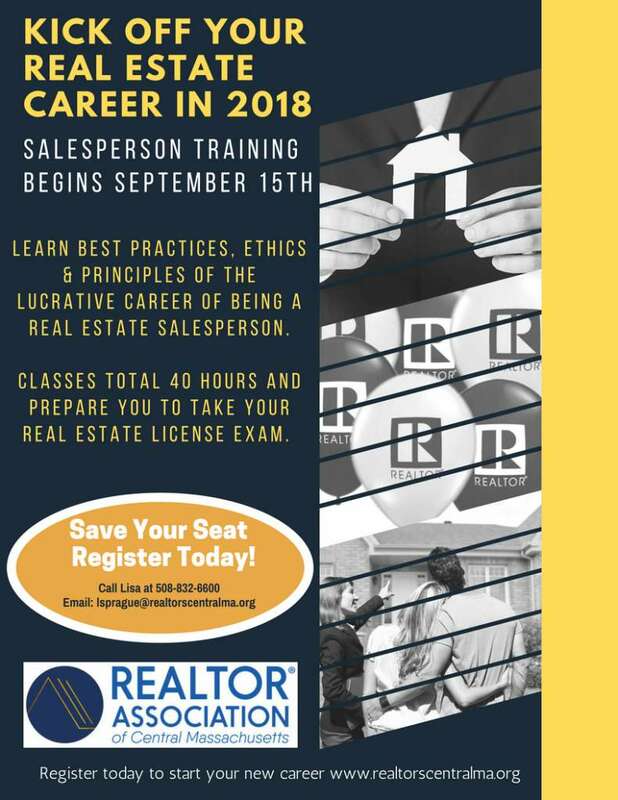 The Center for Real Estate Studies and Training offers Pre- License courses that introduce you to the fundamentals of Real Estate in order to prepare you to take the State of Massachusetts Real Estate License Exams for Real Estate Salespersons and Real Estate Brokers. Saturday mornings from 8AM – 12PM and Monday evenings for 10 weeks. Starting on September 15th!